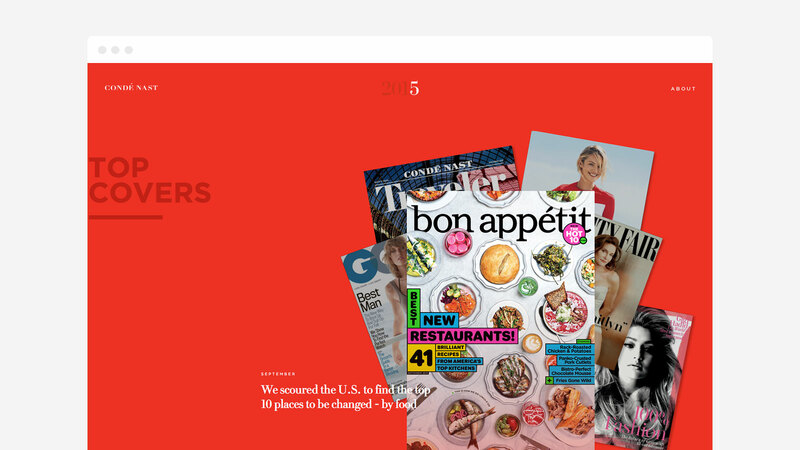 Condé Nast is a premier media company, creating superior content that is consumed by millions of people worldwide. To celebrate their accomplishments, we created a site for Condé Nast to capture their greatest moments of 2015. 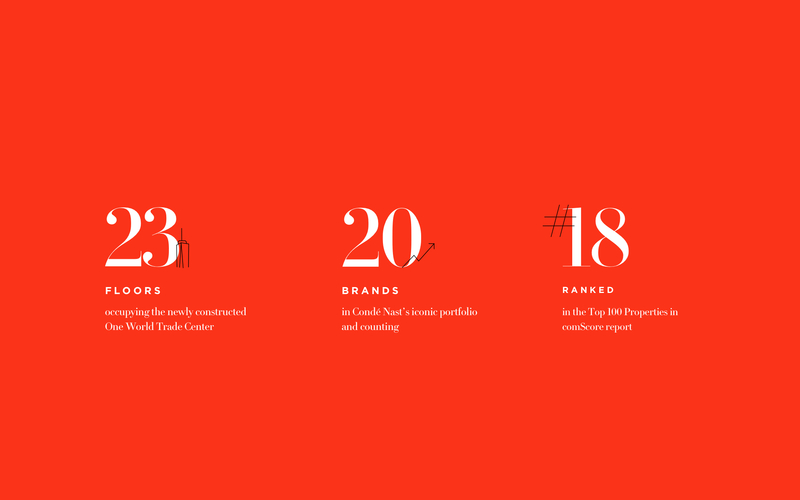 My challenge for this project was to organize a years worth of content between 22 different brands in a compelling, yet digestible format. To solve this problem, I developed a concept where each number of 2015 represents a different section of the site. Each number of “2015” acts as a piece of navigation that transforms into a unique statistic. A horizontal scroll reinforces the concept of a timeline.